Watches are not only timing tools but symbols of identity and taste. A Swiss watch is often as high as tens of thousands or even hundreds of thousands euros, and various brands are also making it impossible for buyers to start. 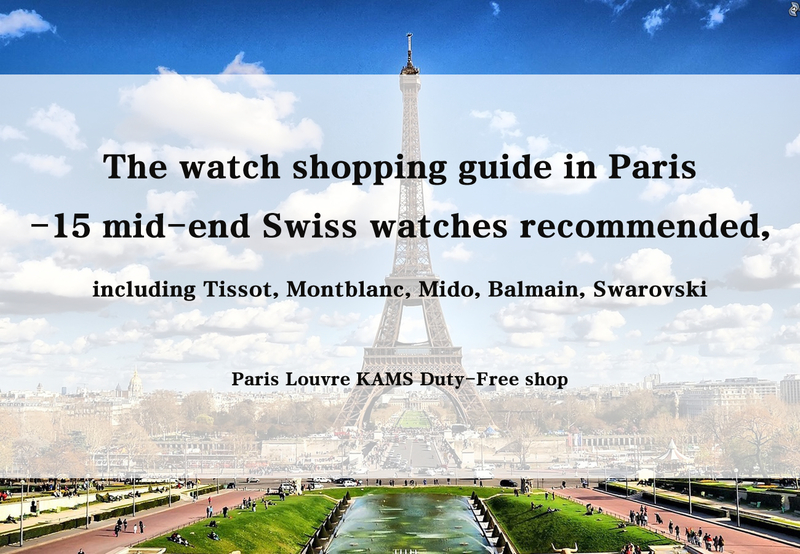 Today, Paris Louvre Duty-Free will introduce you 15 world-class watches with high-cost performance to help you find your favourite watch. 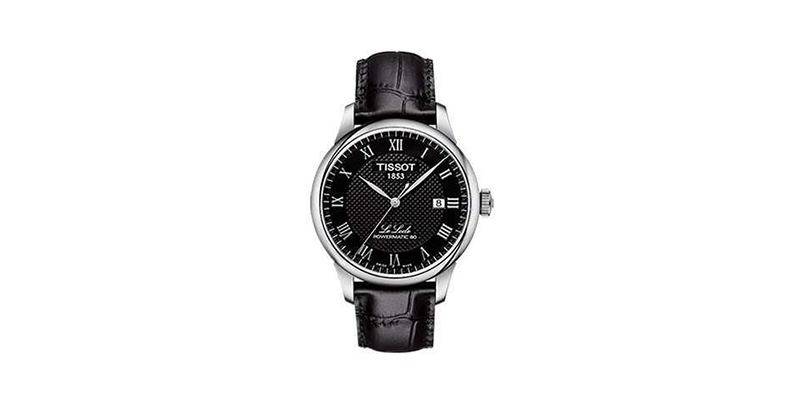 Tissot watches, originally from Switzerland, have a well-known reputation, high quality and different price selections. It is an ideal choice for cost performance. Celebrities such as actress Liu Yifei, actor Huang Xiaoming, NBA star Tony Parker and many other sports stars are Tissot brand ambassador. 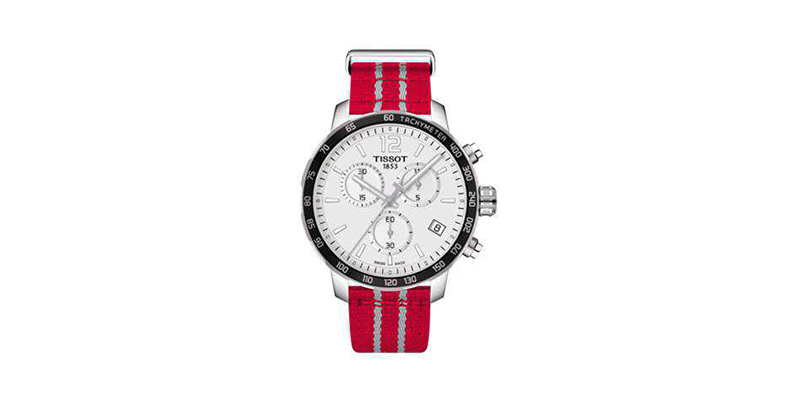 For the price of 10,000 yuan, Tissot has an unrivalled place in terms of reputation and cost performance. Buyer’s review: Best choice for a boyfriend. He is a fan of Harden and loves playing basketball. He named himself Chinese Harden. Rocket did quite well this season so it is the best timing to give him this present, which he liked a lot. 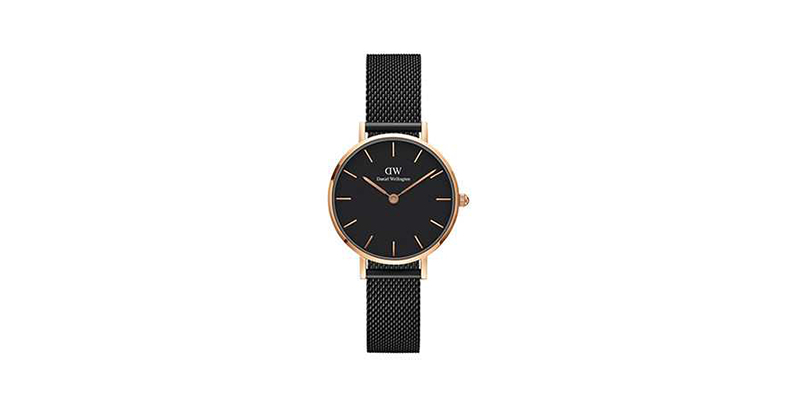 Buyer’s review: Classic design for woman’s watch, simple design but never cheesy. It’s also a mechanical watch. After the tax refund, you can take it around. Buyer’s review: This watch is a bit like a couple’s watch to Liu Yifei’s (famous actress in China). I want my boyfriend to send me the one that Liu Yifei wears, so I bought him this one. This is definitely a great present. 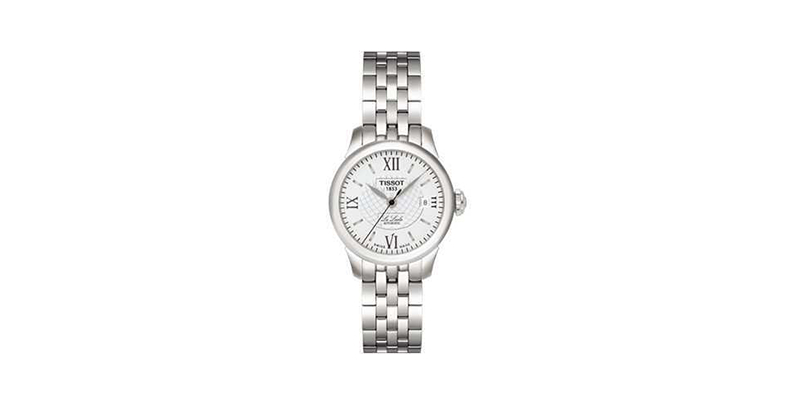 My boyfriend’s mother gave thumbs-up when she heard it is a Tissot watch which shows that Tissot’s brand influence is really good. Montblanc is a manufacturer of watches, accessories and fine pens under the Richemont Group. It was founded in 1906 in Hamburg, Germany. Montblanc’s brand name is inspired by Montblanc – the highest peak in Europe, symbolizing Montblanc’s belief in perseverance, the pursuit of perfect brand culture and the culmination of manufacturing. Buyer’s review: When talking about Montblanc, the first impression may be the top-class pens and luxury watches which will cost tens of thousands of dollars. 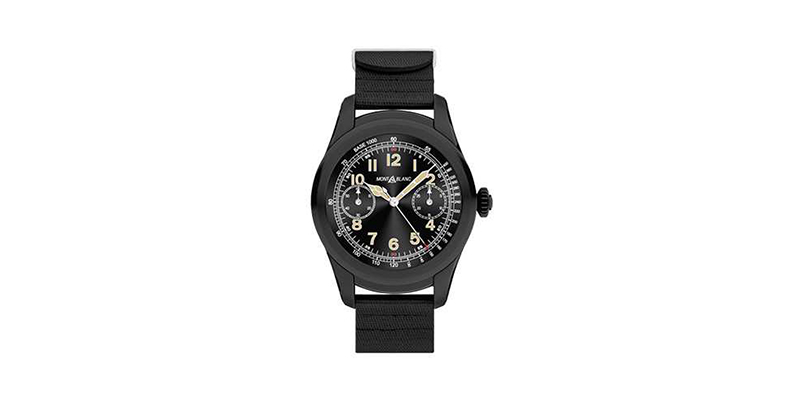 However, this Montblanc smartwatch only costs about 630 euros after tax refund. It can satisfy your desire to top brands. At the same time, this watch is very practical with all kinds of smartwatch functions. The top-class craftsmanship makes it even more perfect. Give it to Dad, who takes it with him every time he goes to play badminton. Buyer’s review: It is probably the most expensive EDC I have ever bought. Dad bought me a Montblanc pen for being an adult so I always wanted to buy a Montblanc watch. I found them too expensive until I bought this one for only 1242 Euros. Its design and quality worth much more than the price. Great deal! 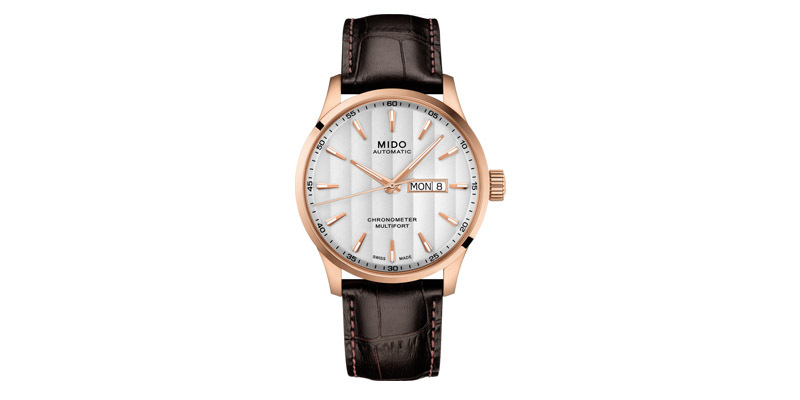 Buyer’s review: The feature of Mido watches is neat and simple. The colour of the watch strap is chic. A perfect gift from the boyfriend for Valentine. 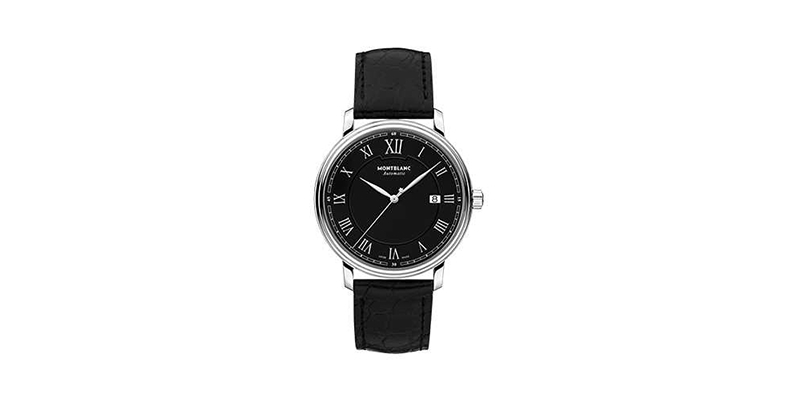 Buyer’s review: Originally wanted to buy him the Longines watch with crocodile leather strap, but my husband wanted this one – a mechanical watch that is a perfect lover for the straight man. Bought for his birthday, and hopes that we can walk together eternally. Buyer’s review: All dial series are excellent both for design and material. Its exceptional feature is its chronometer COSC. The sales told me all chronometer COSC watches have an extra year’s warranty. Buyer’s review: I didn’t know this brand before I came to Paris, but I was attracted when I entered the store. I bought this quartz watch after careful consideration. This design is simply irresistible. The mother-of-pearl dial with Arabic numbers linked on the center circle pattern is relatively unique in terms of design . It looks gorgeous and stylish. The minimalism watch with it’s red crocodile strap is almost becomes timeless, maybe I can still wear it ten years later. 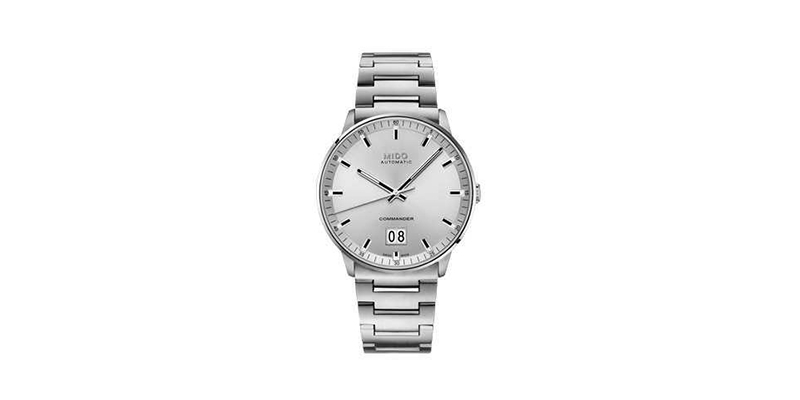 Buyer’s review: Never thought I could find such elegant watch for a woman. Although it is a bit expensive but totally worth the money. I only found out it is a moon phase watch when I paid for it, which made me felt even better. On the front-end moon-phase mechanical watches’ price is quite inaccessible under 2000 euros, but this watches appearance offers all the luxury watches’ visual elements which means you can buy a top luxury watches’s appearance with a accessible price. If you are looking for a moon phase swiss made watches under 700 euros, this watch could be an excellent choice to satisfy your unstopped desire. The jewellery giant from Austria also has its own unique place in the watch industry. Swarovski watches are made in Switzerland, Austrian crystals and Swiss movements, Swarovski watches have very high-cost performance. 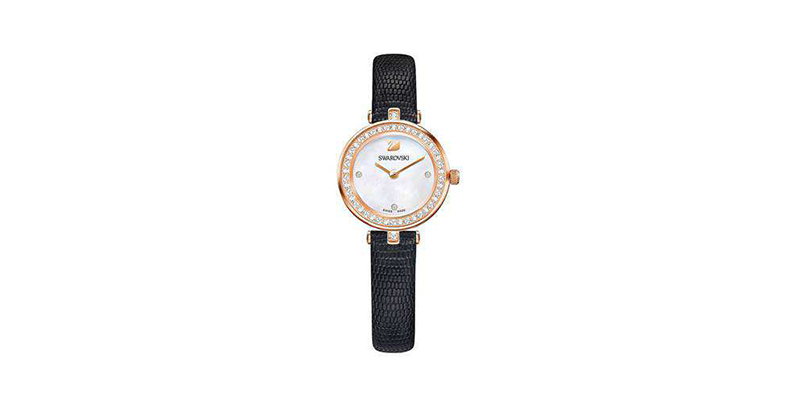 It can be said that Swarovski’s watch collection is the only watch series created for women in the world. 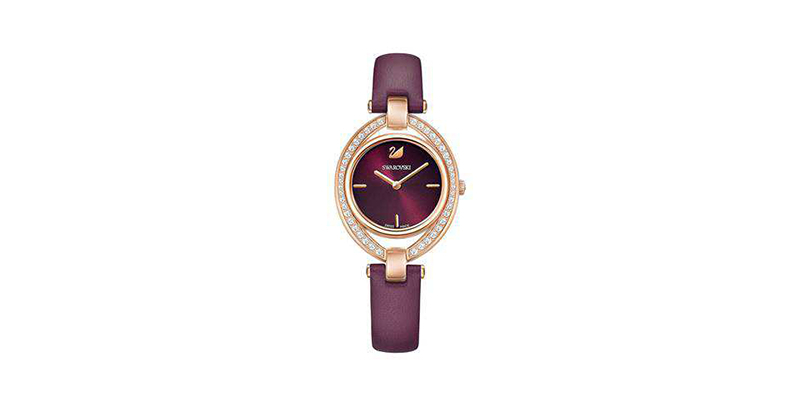 According to the feedback from the sales, Swarovski watch is one of the best-selling watches in the store, showing its attractiveness to the female consumer. Buyer’s review: I loved it when I saw it in the first sight. Rose gold dial with bling crystals, how can I ignore it? 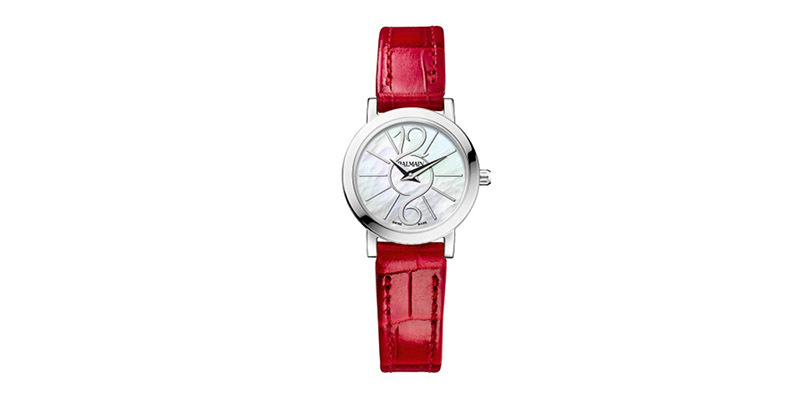 Crocodile leather strap raises the watch to an even higher level. Buyer’s review: claret-red gives people good appetite and desire to buy. Elliptical-shaped watch loop is very special. It matches perfectly with plain colour clothes. When talking about watches around 100 euros, I have to mention DW. 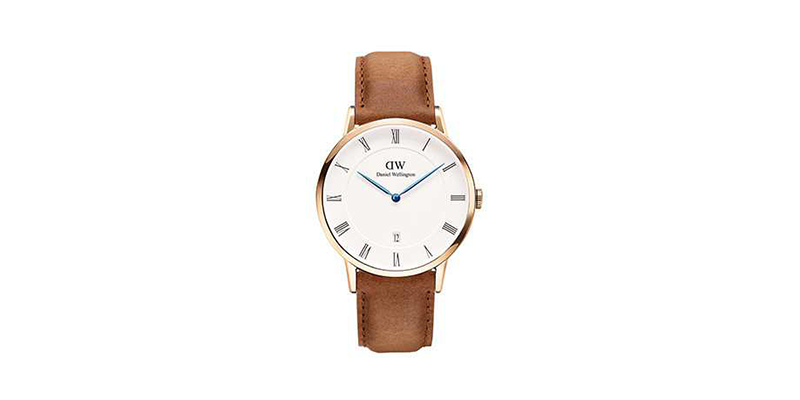 t DW is one of the most popular watch brands in the world. From debutantes to fashion icons, everyone is crazy about this brand. 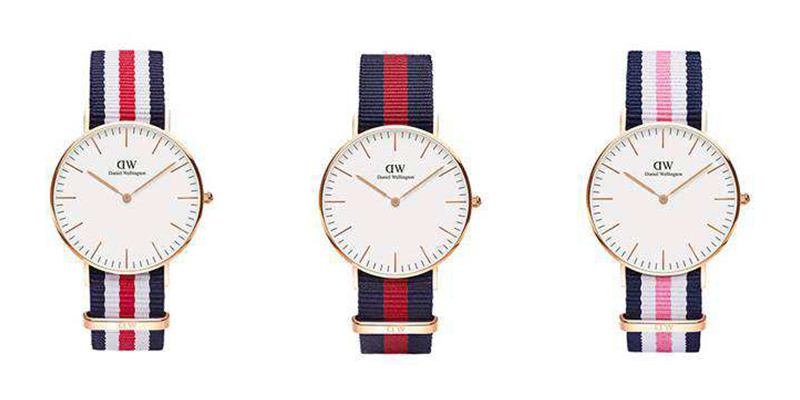 DW watches are suitable for daily commuting or casual sports. Various kinds of bands can be selected for different occasions. Let’s take a look at what DW buyers are saying. Buyer’s review: Black is always a classic colour. It is suitable for different occasions. It is nylon in great quality. It matches perfectly with DW’s golden bracelet. Price after tax refund is 100 euros, with a free Hermes sample perfume. 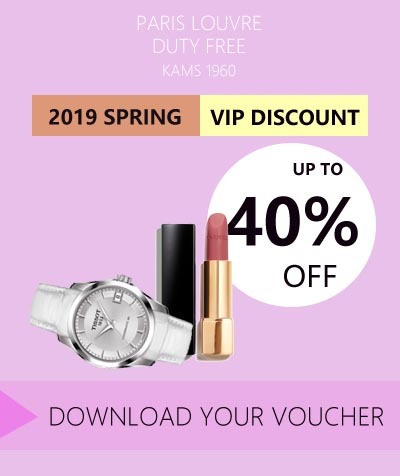 Happy shopping experience. Buyer’s review: Satomi Ishihara wore it! I have changed the watch strap for the new year, made it a brand new watch again. 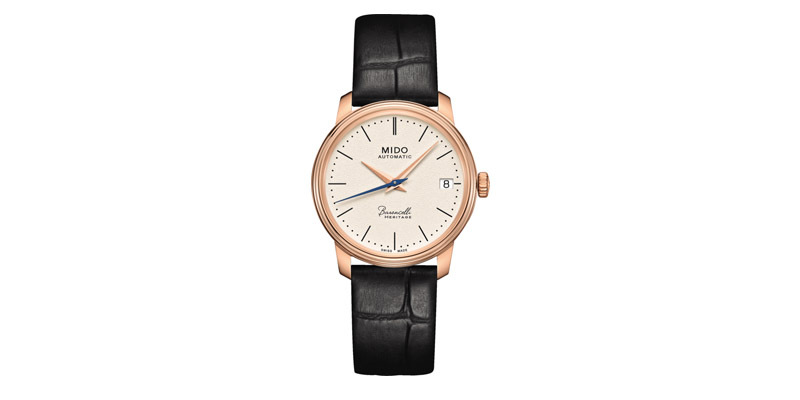 The dial is wide which is suitable for both men and women. Buyer’s review: bought it three years ago when I visited Paris with my bf. We bought one Oxford and one Cambridge. We planned to go to Cambridge University but ended up studying in Paris.  The watch strap is quite magic, it looks a bit normal for the first sight, but loved it day after day. I guess that why DW watch is so popular. 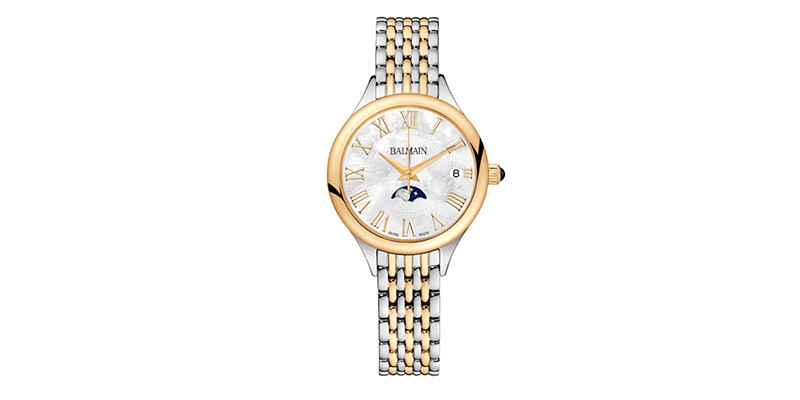 You can find more watches in our online catalogue, take a look now!